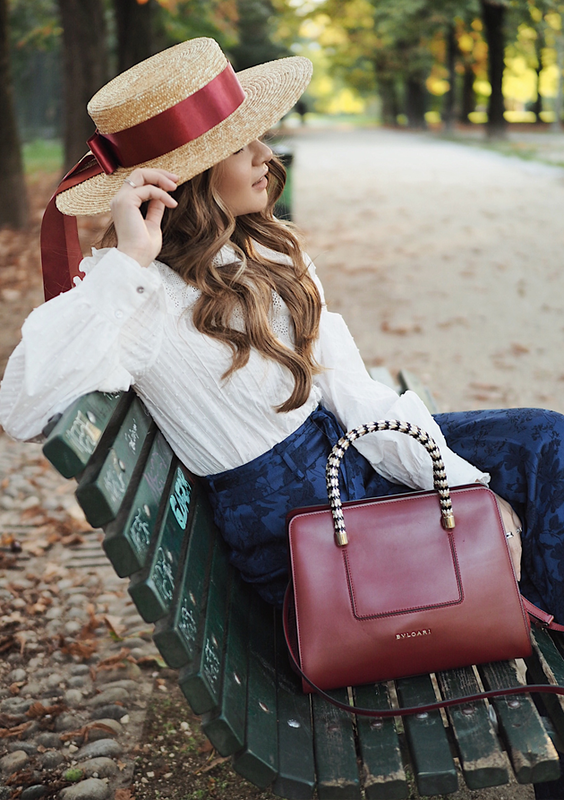 Sitting on the bench, enjoying the Autumn weather at Parco Sempione in Milan accompanied by one of my favorite Bulgari Serpenti bag and a matching boater hat. This is actually a sneak peek post of what coming up next: my travel diary of the whole Bulgari trip that I went to last month, from Milan to Venice, then Valenza, Rome and Vatican. There will be three separate posts you can look forward to and beware, loads of pictures are coming. 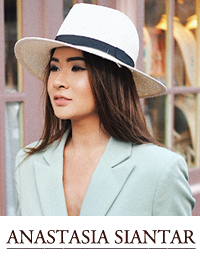 Still going strong this year, the boater hat trend! 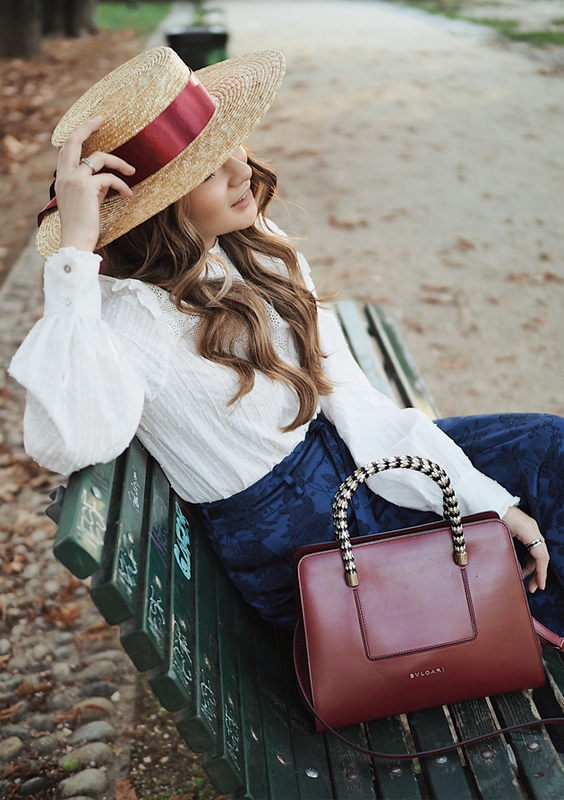 The straw boater has become many people's favorite item especially to bring for traveling, it's so chic and easy to match even with just the simplest outfit. During bad hair day, it can be your savior but do note that having a good boater is quite important. I myself have been collecting them boaters since last year and my favorite has got to be everything from Shabby De Hat. The brand is originally from Thailand and well, the quality of their products is impeccable, you can even tell from pictures. It's strong and stiff, definitely not easy to get squashed or soggy, even from the rain. To sum it up, it's just my ideal type of straw boater, period. Loving this look, so stylish! Such a cute bag too! That's such a cute boater hat! I look forward to seeing more posts from Italy!